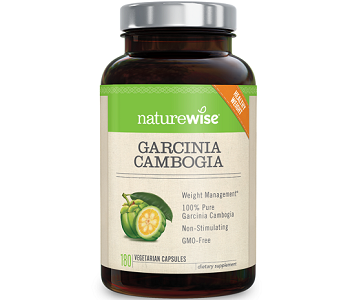 The following is our review of NatureWise Garcinia Cambogia. This dietary supplement claims to be able to help in weight management. 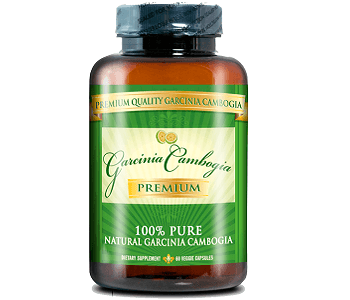 Garcinia Cambogia is a pumpkin-shaped fruit that is usually found in Asia, Africa, and India. The rind of the skin contains hydroxycitric acid, which has been studied for its possibility of being able to help decrease body fat and curb appetites. Taking this supplement along with a balanced diet and regular exercise is a great way to help your weight management plan. Continue reading for our full review. Garcinia Cambogia is meant to help you manage your weight when paired with a healthy diet and daily physical activity. It may be able to curb you appetite which will possibly even lead to weight loss. This product also includes vegetable cellulose and organic rice bran extract. It does not contain any wheat, gluten, dairy, corn, soy, eggs, tree nuts, peanuts, fish, or shellfish. There are 2 options for taking this product. You can take the standard serving which means 1 capsule 3 times a day, 30 minutes to 2 hours before meals and with a full glass of water. For a maximum serving, you will need to take 3 capsules 3 times a day, 30 minutes to 2 hours before meals, with a full glass of water. There were no possible side effects listed on the manufacturer’s website. You should consult with your healthcare provider before taking this supplement as well as any other supplement. You should especially consult with them if you are pregnant, nursing, have a medical condition, taking medications, or have known adverse reactions or allergies. The manufacturer says that they care about their customers’ health and well-being and especially their satisfaction and therefore offer a lifetime guarantee for this product. If you are not satisfied with it for any reason, you can return it at any time for a full refund. You will just need to email them to start the return process. This return policy sounds great since you have an unlimited amount of time to return the product, but the manufacturer doesn’t give any more information like what the condition of the product has to be to qualify for a full refund or if there will be any restocking fees or if shipping costs will be refunded as well. Many customers were pleased with their purchase of this product since it really helped curb their appetite. Some customers also said this product didn’t work at all and made them feel jittery. There are a couple of positive things about NatureWise Garcinia Cambogia. It has a lifetime return policy that allows customers to return this product whenever they like if they feel unsatisfied with the product. Also, many customers were very please with their purchase of this product since it really helped with their appetites. There are a couple of negatives as well. This product is definitely more on the expensive side. It also has many customer reviews that say this product didn’t work at all, even when paired with a healthy diet and exercise. Another customer also reported that this product made them feel weird and jittery. We feel you can find a safer and more affordable product elsewhere.